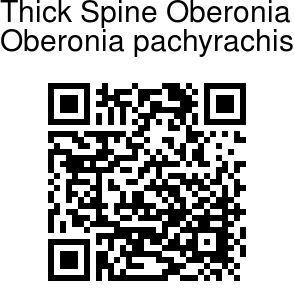 Thick Spine Oberonia is an orchid found in the Himalayas. Leaves are 3-4 inches long, narrow sword-shaped. Flowering stem (scape) is very broad flat, leaf-like, 2-4 inches. 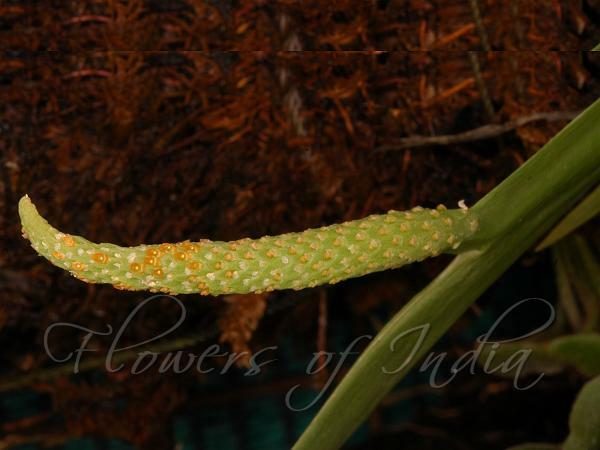 Flower spike is straight - minute, stalkless flowers densely tile a very thick spine. Bracts are very short semi-circular jagged; petals are narrow, lip is circular or rounded–ovate quite entire.